The CE Series is reversing motor compact electric actuator with isolated end of travel limit switches to stop the motor in each direction. This actuator is available on various ball valve series with an ISO mounting pad, as well as our SM series which has a unique sure-mount valve to actuator connection. Safety first… Make sure that all power is off. The CE Series comes with a 24 inch external cable for easy wiring in the field. The housing cover never needs to be removed. This cable includes 7 wires of different colors, 6 of which are used. The red wire is NOT used and comes properly terminated on both ends. You may not even see it. Wiring Diagrams can be found on both the CE and SM series datasheets on our web site, and are also on the label, on the actuator housing itself. 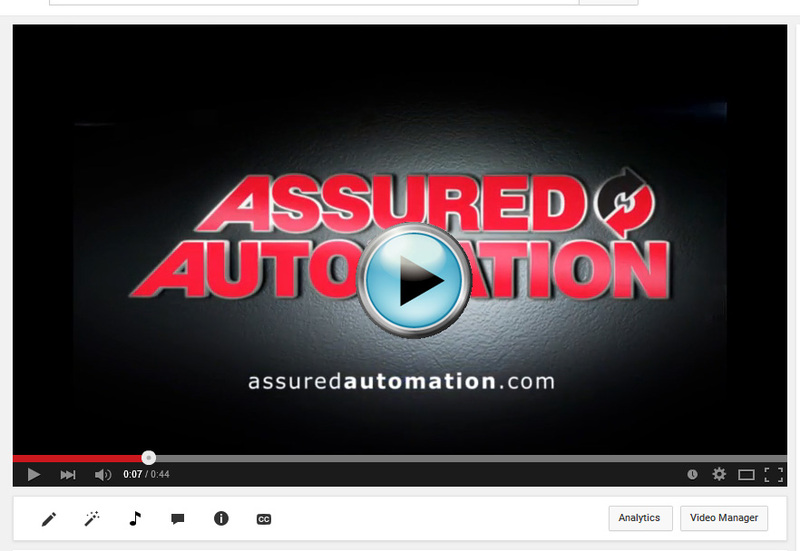 You can link directly to the datasheet using the info card links in the upper right hand of this video. The actuator requires a main power supply that is always on. Provide this main power supply by connecting positive DC power or AC line to the BROWN wire, and connecting negative DC power or AC neutral to the BLUE wire. A control signal is used to operate the actuator. This signal is connected to the green wire and should be the same voltage as used on the brown wire for the main power supply. This is where you would place a control switch, to actually operate the valve, such as our CB series weather proof control boxes, which are sold separately. When power is provided to the green wire the actuator will travel in the counter clockwise direction until the first end of travel limit switch is reached at 90 degrees. At that point the switch stops the actuator by shutting off the motor. Whenever the actuator is at rest, the motor is not drawing power. To drive the actuator back to 0 degrees in a clockwise direction, simply remove power from the green wire. The motor will activate and drive the actuator back to its original position. The other end of travel limit switch will stop the motor when the actuator has fully returned to 0 degrees. 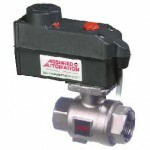 The actuator comes with a Single Pole, Double Throw auxiliary switch that can be used to signal the valve position. To use this feature, Supply constant positive DC or AC line power to the WHITE wire. When the actuator is at 0 degrees, one contact of the switch will close and the power provided to the WHITE wire will be conducted through to the PINK wire. When the actuator reaches 90 degrees, the other contact will close and the power from the WHITE wire will then be conducted through to the GRAY wire. BOTH switch contacts remain open while the actuator is traveling between 0 and 90 degrees. To engage the manual override in the event of power loss, first, disconnect the power supply. Then, use a screwdriver to depress the override knob and turn it from “A” to “M”. This will disengage the actuator’s drive stem from the drive train. Once the knob is turned to “M”, use a wrench on the indicator to turn the actuator to the desired position. Be sure to turn the knob back to “A” when you are done, so that the actuator will respond to electric controls once power is restored. This entry was posted in Installation and Training, Latest News and tagged CE Series, electric valve actuator, wiring video for electric actuator. Bookmark the permalink.